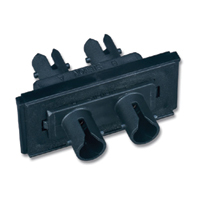 Siemon’s low-profile Fiber Outlet Box (FOB2) is the optimal solution for bringing fiber to the desk. 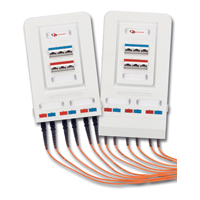 The FOB2 offers a well-defined method for managing fiber cabling at the work area by providing a connection point for up to 12 fibers (or 6 coaxial) connectors utilizing slide-in bezels. 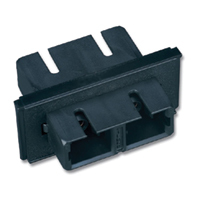 A single gang faceplate is mounted to the FOB2 base and accommodates up to six MAX® modules or two CT® couplers. 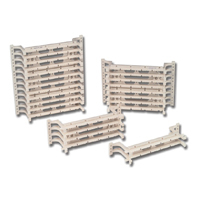 Fiber Bezels are available in MT-RJ, LC, SC and ST configurations. 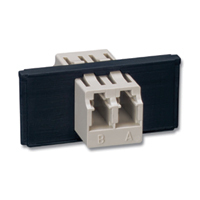 For use with FOB2 fiber outlet boxes. 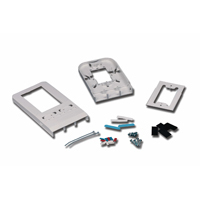 Siemon S110 field termination kits combine category 5e performance with unparalleled installation features. 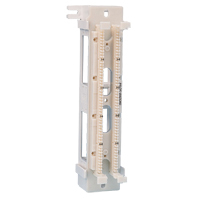 Each kit includes connecting blocks to complete each 25-pair termination strip on the S110 wiring block (e.g. 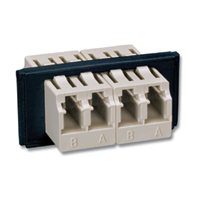 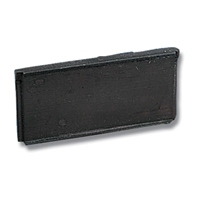 S110AB2-100FT includes five 4-pair and one 5-pair connecting block per 25-pair termination strip, or a total of twenty 4-pair and four 5-pair connecting blocks).